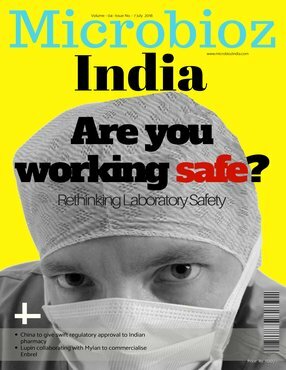 Cover Story : “Laboratory Safety edition : July 2018"
The edition brings for you a cover story titled ‘Are you working safe: Rethinking Laboratory Safety, A working understanding of the prevention of laboratory accidents is integral to any scientific discipline, has legal ramifications, and is a skill that employers expect scientists to have. Compact in design, Resolve Optics Model 228 is a full featured, high performance RUVIS lens proven in the world of fingerprinting and forensic investigation. Whether you are planning a start-up laboratory, an established lab with low sterilising throughputs, creating a Cat 3 laboratory or a lab manager wanting a more affordable, simple to operate and easy to install steam steriliser, the self contained Priorclave C40 bench top laboratory autoclave is the perfect choice. 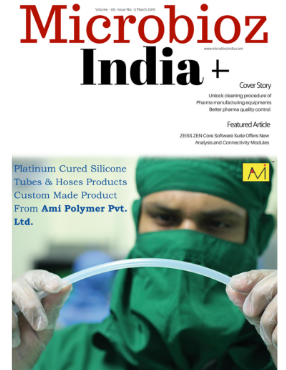 UBM India, organizers of CPhI / P-MEC India, the leading global pharma trade show and conference, today announced the 5th edition of PharmaLytica 2018.